On a cold morning in Grimsby, Albert Hardcastle wakes up to the first day of his retirement. His days of working in a shop are behind him, and he and his wife Alice decide to celebrate by taking the luxury cruise they always dreamed of. Meanwhile, on the Essex coast, Rear Admiral Sir Benbow Harrington, a retired Royal Navy officer, is trying to assemble a fleet of passenger ships. His newest vessel, The Golden Handshake, is ready for its maiden voyage. At least, that’s what Sir Benbow thinks, and if others disagree, he ignores them. 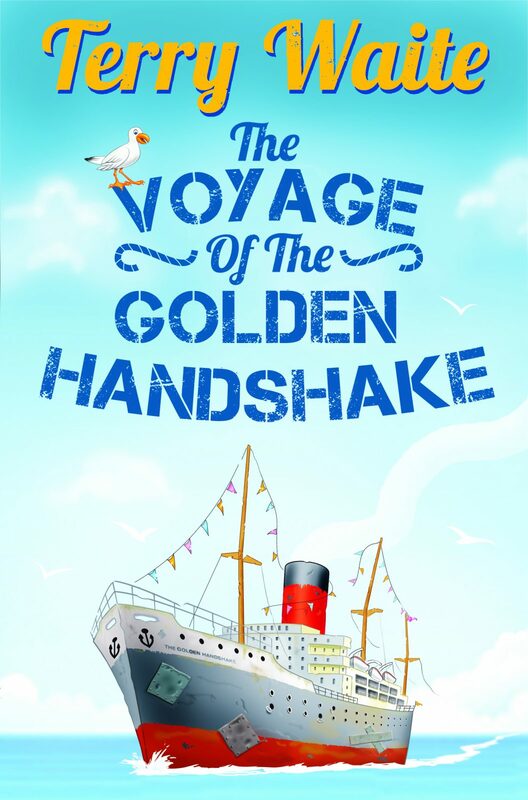 When Albert and Sir Benbow embark on The Golden Handshake’s first cruise, they encounter characters and experiences more colourful than they could ever have imagined, and meet with both triumph and disaster, as well as plenty in between. The Voyage of The Golden Handshake is a warm and charmingly funny story which reminds you that life is for living, and in which Terry Waite shows an unexpected talent for comic fiction.